We offer a fully comprehensive repair service for all domestic out of warranty ABB solar Inverters. We also sell inverters, and cover inverter replacements in the UK. We have an experienced in house team who specialise in Operations and Maintenance. From preventative and corrective maintenance to HV services we can provide a bespoke package for any size plant. Shebbear College is one of the oldest schools in Devon and draws upon over one hundred and seventy years of history in shaping its values and outlook. Pupils are educated within an 85 acre site in one of the safest and most idyllic campuses in the UK. The school is known for its pastoral care and its relatively small size (350 pupils) means that each child is known and treated as an individual. The College has a unique sense of community centred upon Christian teaching, but whilst the school honours its illustrious past it has its sights set firmly on the future, embracing innovations in thought, technology and education. Over the last two years the college has installed 120kWp of solar pv to reduce the sites electricity consumption and carbon footprint. This, along with a large biomass plant which has been installed, has raised awareness with the students about the benefits of renewable energy sources. Solgen Commercial were initially contacted by the college to carry out a feasibility study for a proposed 50kWp system. After looking at the various roof space available the decision was made to apply for planning permission for a ground mounted system in an area of land behind the main sports field. Solgen assisted the college with the whole process and the installation was completed before the tariff reduction at the end of the month. 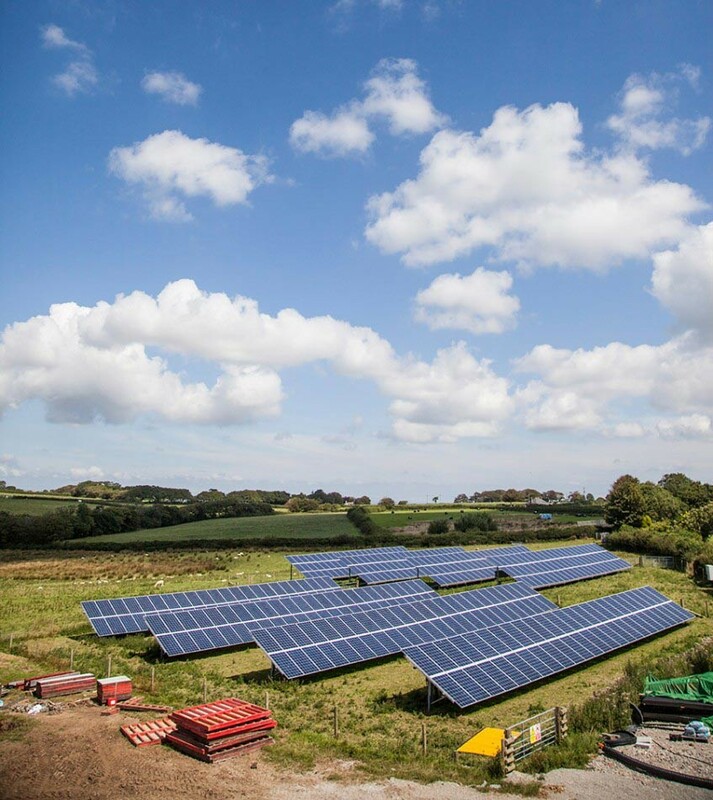 The following year the college decided to extend the existing system by 70kWp after being granted the additional export by Western Power. The framework used for the extension housed three modules in portrait as opposed to the two in phase one. This was to make the planning process easier by keeping the footprint of the system the same as phase 1. Solgen have installed a 15kWp #solar PV system to reduce the buildings energy costs which include tenants on the ground floor.